mouth of a homeless man. young Black boys. Black angels. and don’t stop to ask me. I’m some thing you can toy with. useful for you to examine, fill, classify. to make me mean something. a shadow cast from your light. I’m nowhere, the edge of terra incognita. I’m nothing, the unknown incarnate. I’m nothing, your antithesis, your anti-Christ. and you call me Samboo. saddened and alone in your world. my true-true names, with love. if my mother will recognize me? Am I still my father’s son? Am I still alive at home? I look for a way out. I am not wise, I have no answers and questions disappear. Dubbed ‘Brit-born Bajan international’ by Caribbean literary icon Kamau Braithwaite, Dorothea Smartt is a poet and live artist. Her poetry braids together standard and Caribbean English; poetic form and speech rhythms; myth, history, observation and reflection. Her first collection Connecting Medium (2001, Peepal Tree Press) was highly praised and features poems from her outstanding performance works Medusa and From You To Me To You (An ICA Live Art commission). Her latest publication Ship Shape is a rich collection of poems, connecting past and present, presence and absence. Her recent poetry video installation Landfall was part of an international exhibition at the Museum of London Docklands and featured new works exploring the Atlantic Ocean as a natural phenomenon and transporter of dreams and peoples. 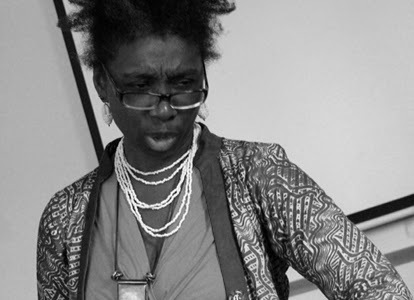 Dorothea Smartt performs, and exhibits internationally, and regularly works with schools. She is SABLE LitMag’s poetry editor, and Co-Director of Inscribe, a Black & Asian writer’s development program.